Know what you want to design. Know if you’ve got images or specific charts that you want to include. You may want to use those on your camera or download them from an image bank on the Internet. Establish the colors you want to use or the layout design chosen for the printout. Step 1: open a new file and access Publisher’s Catalog. Step 2: choose the type of publication you want to create to be able to access the appropriate layout wizards. Step 3: choose the template the suits the best the design idea that you’ve got on your mind. Step 4: let the wizard guide you through the process offering you tips about styles and details to be included. Step 5: once you’ve included all the graphical resources and text information on your layout, click on Finish. Publisher will show you the final result. Step 6: you can save your creation if you like it just as it is or you can continue to be creative, even selecting specific elements to make changes. What are Microsoft Publisher templates? How many templates does Microsoft Publisher have? 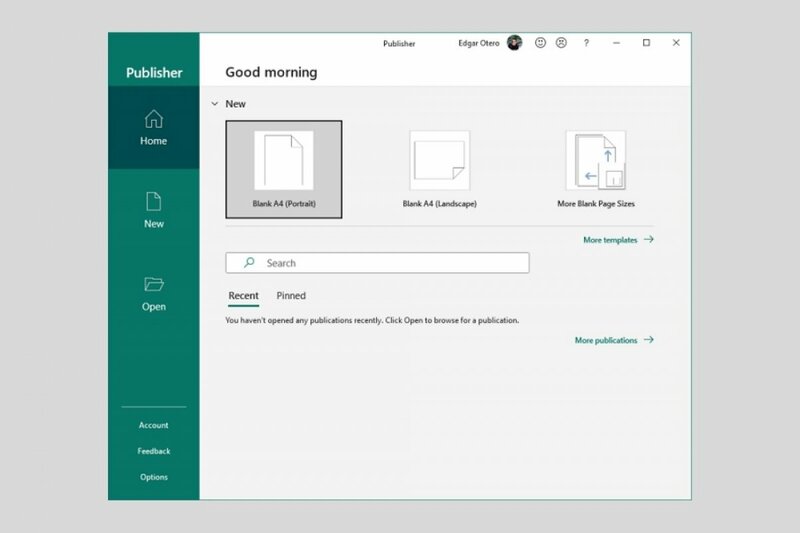 What is Microsoft Publisher and what's it for?